I’m not going to lie — I was skeptical at first. I’m all about recycling and minimizing waste (we even started composting in our new backyard), but I didn’t see how Caru’s Tetra Pak® cartons would be easier to use than the cans I’m accustomed to. The little plastic can-lid sealer things (technical term) I’ve been collecting from conferences make mealtime so easy — but not as easy as the carton does. You can simply re-fold the top — no extra lid necessary! 100% human grade — YUM! Caru’s Daily Dish Stews are 100% Human Grade. Yes, you read that right. 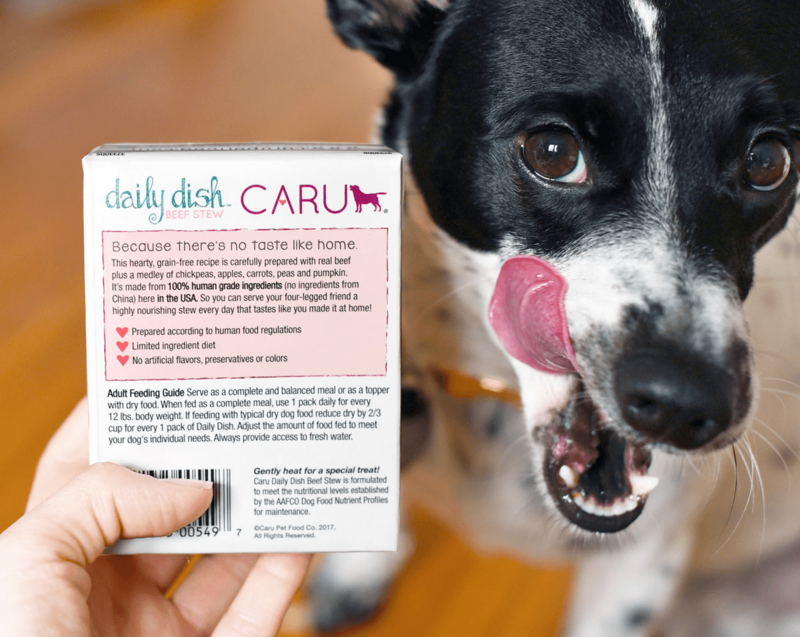 According to Caru’s website, they offer the only ready-to-eat dog food that is made with 100% human grade ingredients and is prepared in a human food grade facility. These stews contain zero genetically engineered ingredients, no added flavors or colors, and absolutely zilch carrageenan, xanthan, guar, other gums, or Chinese ingredients. That means Henry is probably eating better than me! For the record, Caru’s official stance is that just because their stews are human grade, “that doesn’t imply that we’re encouraging anyone to tear open a carton and dine. 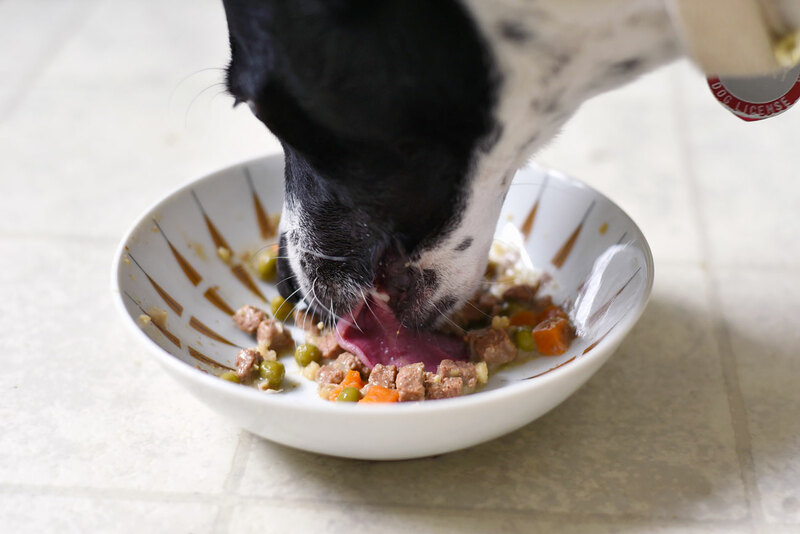 Our stews are formulated to meet the taste preferences and nutritional requirements of dogs, not people!” Regardless, your pup will eat fantastically if you have a stockpile that will last you through a hypothetical disaster! Your pup has options! 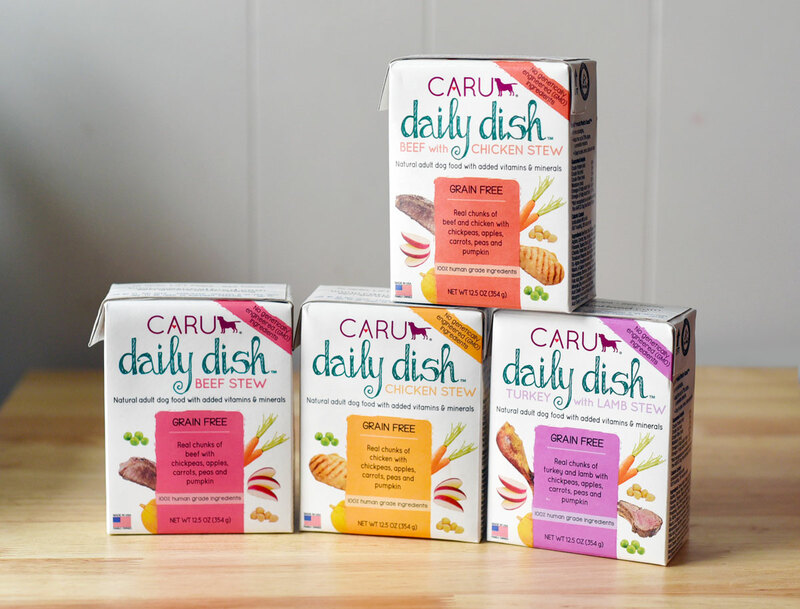 You can find Caru Daily Dish in four varieties: Beef Stew, Chicken Stew, Beef With Chicken Stew, and Turkey With Lamb Stew. Each one is grain-free and also contains chickpeas, apples, carrots, peas and pumpkin. Plus — look at the gravy. YUM. 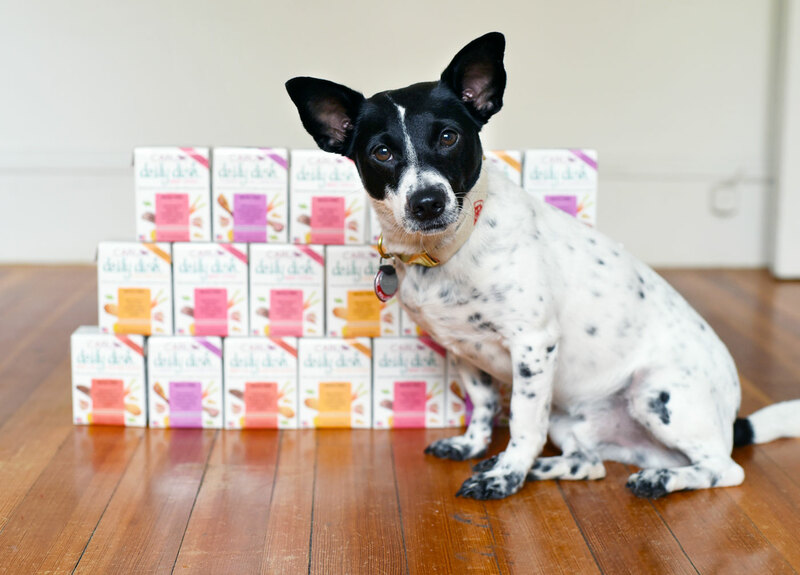 Each carton is retail priced at only $2.99 — not bad at all! 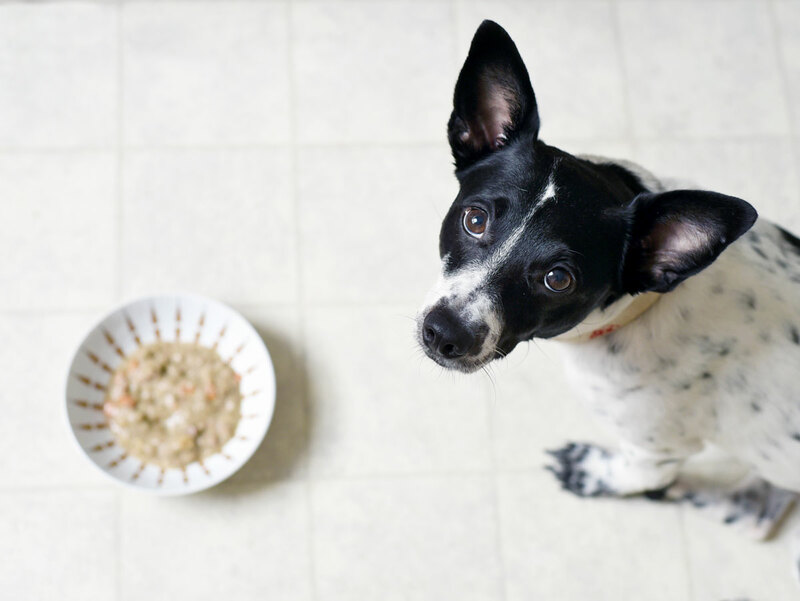 This price competes with canned options from other other high-quality dog food companies, but offers all human-grade ingredients. 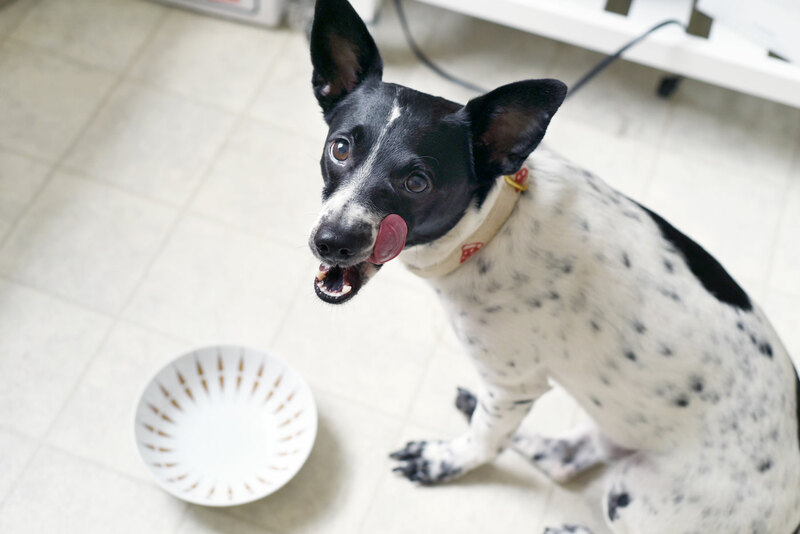 Sure, stews and wet foods can get expensive — especially if you have a larger dog — but your pup will benefit even if you combine it with their current kibble. The back of the carton even tells you exactly how to calculate the proper proportions. Henry is consistently excited for dinner — he is, after all, a dog — but he’s been extra enthusiastic lately. I don’t know if it’s the fact that we just moved into a new, larger apartment surrounded by trees and a river, the new Caru Daily Dish in his diet, or a combo of the two, but he’s been absolutely bouncy! I haven’t seen him this jovial and playful in a long, long time. Not to mention the fact that his poops have been great. Henry: a card carrying member of the Clean Plate Club. Honestly, I really liked learning about Caru and its Daily Dish Stews. I never lie in my reviews, and I genuinely do get as excited about things as I write in my posts. (What can I say? I’m excitable!) 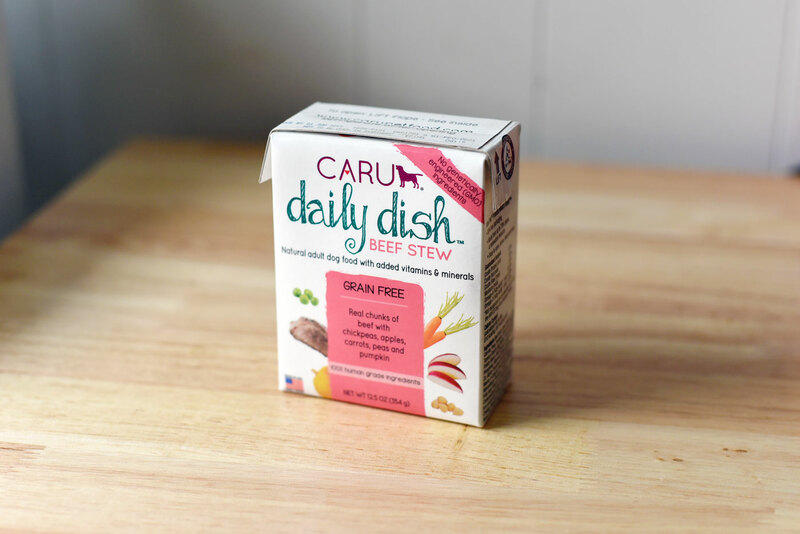 This product, though, was extra fun because it gave me the opportunity to delve more into the human-grade dog food world and to get to know the family-owned Caru brand. 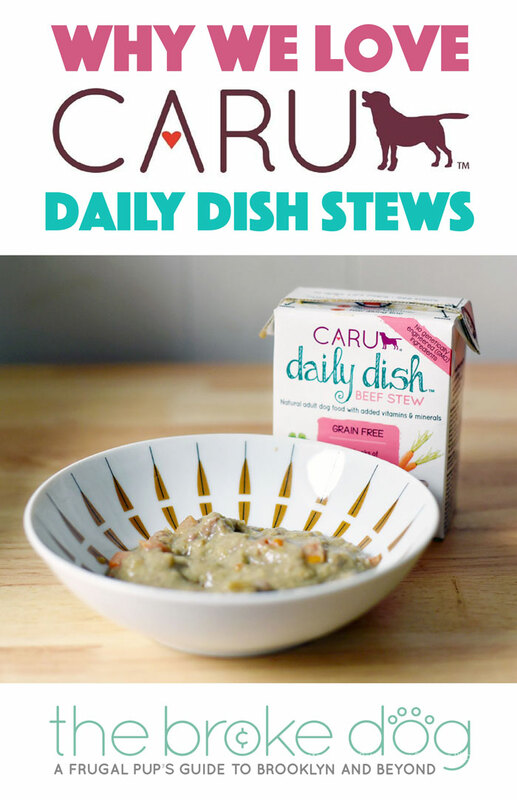 In conclusion: if you’re looking for a high-quality, affordable prepared dog food, it’s hard to go wrong with Caru Daily Dish Stews! Want to make something fun with your Caru Daily Dish Stews? Check out our Dog Welsh Pasty REcipe! i won some of these on fb from Caru and my girls loved them. they were very good for my older dog b4 she passes away b/c it was easier for her to eat.